(4:45 p.m. EDT) -- Norwegian Cruise Line is one step closer to enhancing its passenger experience through the use of wearable technology. 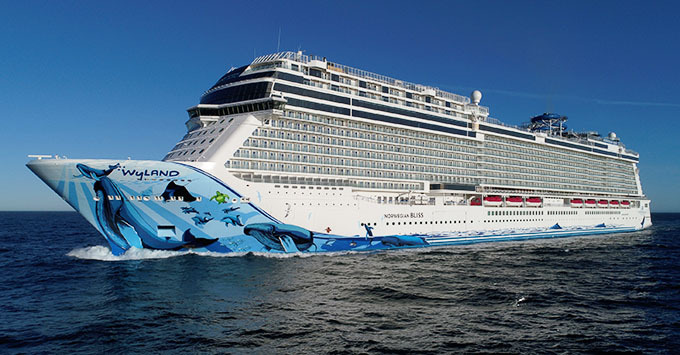 The line will begin the phased implementation of yet-to-be-revealed "preliminary elements" onboard Norwegian Bliss in late 2018. Talk of Norwegian's new technology platform began in May 2018, after the line partnered up with U.S.-based software development company DeCurtis Corporation on a new project called Cruise Freedom. Details of the project have not yet been announced, though the line's president and CEO Andy Stuart did tell TTG Media it likely would involve wearable technology. "Well-known for their award-winning proximity-based technology solutions, DeCurtis is working to leverage the latest in location-based technologies, including wearables, to meaningfully enhance the guest experience from the moment of booking and throughout their Norwegian cruise," said Stuart. "We will be sure to share more details as information becomes available." The Cruise Freedom pilot program will be slow to rollout; the second ship to test the technology will be Norwegian Encore, when it launches in fall 2019. Norwegian's foray into wearable technology follows the development of similar platforms by Carnival Corp. (Ocean Medallion) and MSC Cruises (MSC for Me). Ocean Medallion is so far available only on Caribbean Princess, while MSC for Me is utilized on the line's newest ships, MSC Meraviglia, MSC Seaside and MSC Seaview.